Integrate one of the leading online payment service provider into your WordPress website with Bookly #1 WordPress Booking & Scheduling plugin. Enable your customers to make payments on your website using the PayU Checkout. 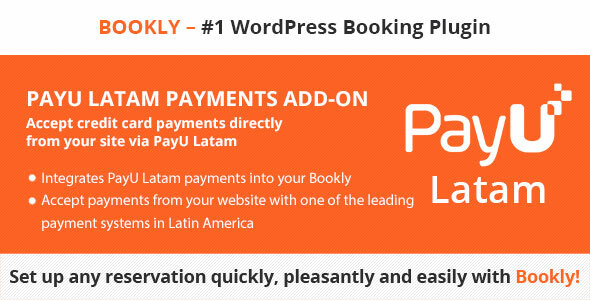 Please read how to setup and use Bookly PayU Latam Payments add-on in our detailed documentation.